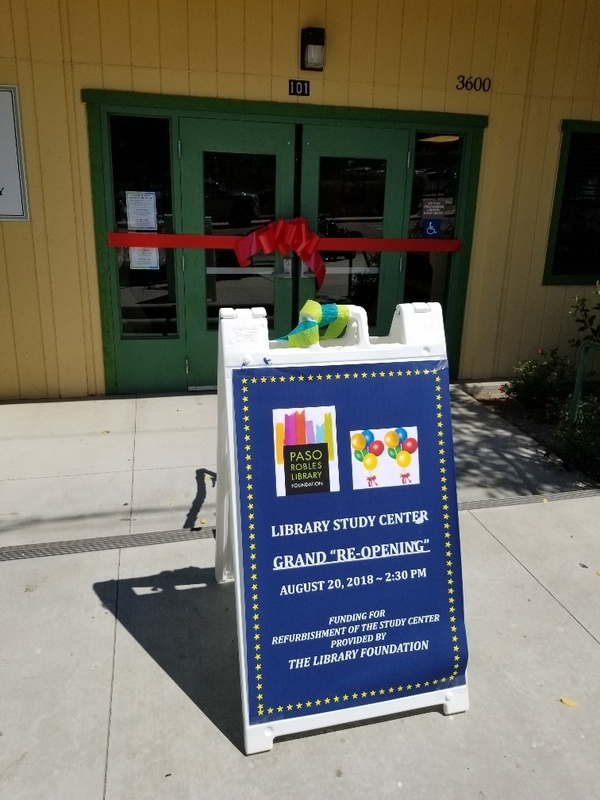 Thanks to the Paso Robles Library Foundation and its benefactors, the Foundation recently funded the refurbishment of the Paso Robles City Library Study Center, located at 3600 Oak Street. 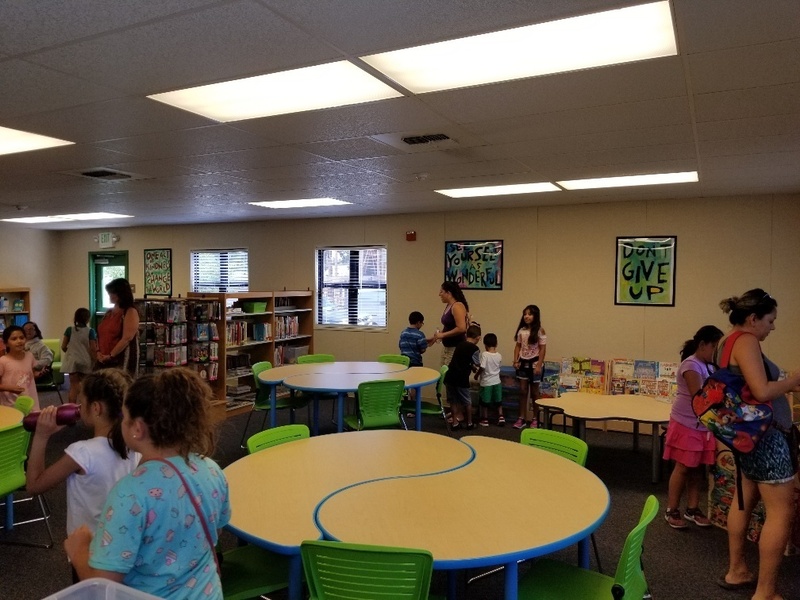 New collaborative work spaces were created utilizing Yin Yang tables, youth-sized chairs, staff chairs, backpack carts, book racks, and a busy cube for our young patrons. The new work space is much more flexible and takes into consideration the variety of services provided to our community. On the day of the grand re-opening, many students, and some of their parents, from Georgia Brown Elementary School eagerly waited for Mayor Steve Martin, Library Trustee Michael Miller, Foundation President Pamela Alch and City Librarian Angelica Fortin to cut the large red ribbon. Once inside each child received a free reading level appropriate book to take home with them; these books were also funded by the Foundation’s benefactors. The study center serves about 10,700 people per year, including students, early childhood education and parent education class attendees. The Paso Robles City Library recently implemented Radio-Frequency Identification (RFID) technology, a daunting undertaking, but one that has been equally welcomed by staff and library patrons. RFID technology has been helping libraries to streamline services for over a decade—assisting with inventory control, providing for more efficient check-out at service desks, and offering user-friendly self-check kiosks that encourage patron autonomy and privacy. The process of “tagging” the library’s 60,000 items required teams of two, working eight hours a day, five days a week for three months. Library volunteers performed about 95% of the work. There was no reduction in services or any closures during this time. 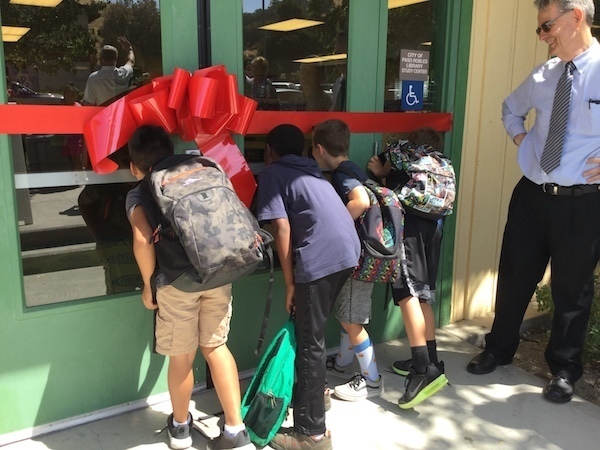 The Paso Robles Library Foundation, its benefactors and an anonymous donor, contributed $33,000 toward the purchase of five staff workstations, theft-prevention gates at the entrance to the library, and two self-check kiosks, one in the Children’s Library and one near the Circulation Desk. In addition, City Librarian Angelica Fortin worked with the City to secure ongoing maintenance of the system as well as future capital equipment replacement as needed. 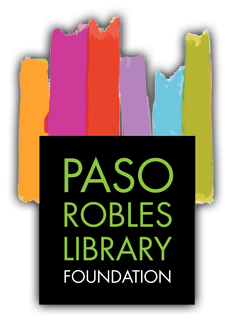 Once implemented in the Paso Robles City Library, the benefits of RFID technology were immediate—improved user experience, a reduction in theft, and increased staff time to assess and improve collections and make new materials available to patrons sooner. Most of the libraries in the Black Gold Cooperative System have already adopted RFID technology. Now that the Paso Robles City Library has implemented it, the sharing of resources and collections among libraries is more efficient, too. 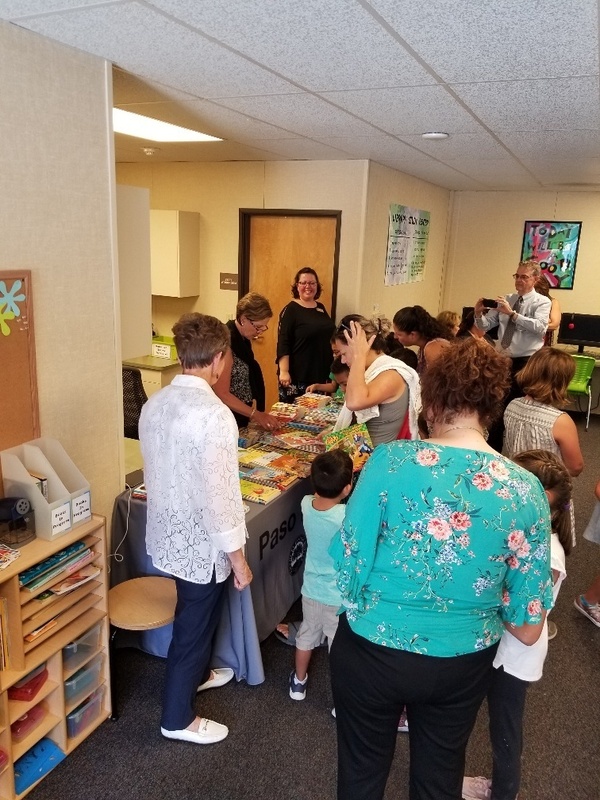 As libraries continue to move forward with 21st-century technology, the Paso Robles City Library will continue its tradition of excellence in library service through its quality collections, popular programming, modern conveniences, and friendly staff. “The Paso Robles City Library is a jewel in our community that provides access to the tools for lifelong learning. The Library Foundation works to ensure that the Library has the additional resources to keep pace with our ever changing world,” stated Foundation President Pamela Alch. Replaced and refurbished 21-year-old seating in the Library. The Adult and Children’s sections of the Library have 83 new chairs. Benches and couches have been reupholstered. 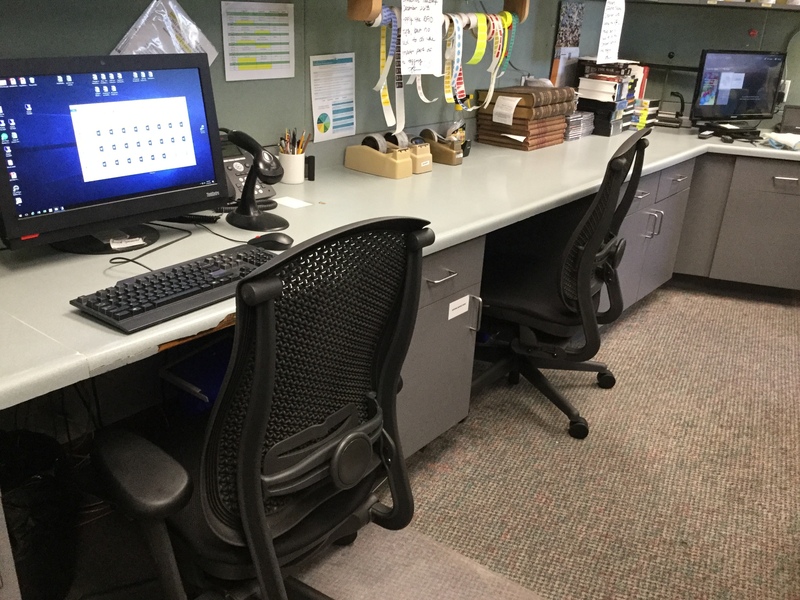 Purchased an additional AWE computer and carrel; AWE computers are designed specifically for our patrons aged 2 – 8 with over 4,000 interactive learning activities focused on early literacy. Sponsored the Summer Reading Program for children and teens. This program helps students sustain and/or improve their reading levels over the summer months. Approximately 800-1000 attendees. Contributed to the expansion of the Library’s collection of books, reference materials and books on CD. Sponsored the holiday Giving Tree which provided 100 new books for the Library. Purchased 10 new lounge/reading chairs for adult seating. Created a study room within the Library with tables, chairs, and whiteboard. Continued with an expansion of the Library collection in all formats including the Spanish language collection, updated reference resources and popular material for the Library and the Study Center. Procured I pads for the Library and Study Center. Purchased new software to streamline the management and marketing of new programs. This software will provide an efficient way to communicate all Library activities with our community. It replaces the no longer in print Activity Guide. Sponsored the Summer Reading Program. In May, held a winemaker’s dinner fundraiser at Calcareous Vineyard and Winery. Recruited three new members to the Foundation Board of Directors. Hosted Open House to celebrate the Foundation’s 20th anniversary and the Library’s 22nd anniversary in its present location. Hosted event to celebrate the completion of the RFID tagging project. With major funding from the Helen and Will Webster Foundation, replaced and refurbished 21 year-old seating in the Library. The Adult and Children’s sections of the library have 83 new chairs. Benches and couches have been reupholstered. Purchased an additional AWE computer and carrel. AWE computers are designed specifically for our patrons aged 2 – 8 with over 4,000 interactive learning activities focused on early literacy.